Coastal decor can be airy, soft and easy on the eyes, or can go bolder with a more traditional palette of nautical navy, white and red. Everyone has a different interpretation of what coastal living looks like. A more traditional approach certainly involves anchors, paddles, and drift wood hanging on walls and displayed on tables. It can cross over into a shabby chic coastal look with its whimsical and soft palette or it can go more farmhouse coastal with an emphasis on chunky furnishing and wood crafting. Coastal style is really about the mood it sets rather than accessories that go too literal. Although maritime and seaside motifs feel appropriate, don’t go overboard. Coastal living should be comfortable, relaxing and a breath of fresh sea air. Remember, you don’t have to live on the shore to evoke the feel and sentiment of beach living. You certainly can make any home, anywhere, get on board with coastal decor. Coastal interiors truly marry the indoors and outdoors. The use of natural lighting and openness gives the feel of the coastline right outside your door. Having plenty of windows, glass doors and skylights will help cast more light into your space which are a necessity when creating the coastal mood. If you can’t spare your budget to add these to your home, try adding lamps, sconces or pendant lighting to fake the mood. Window treatments such as heavy draperies and valances should be light and simple enough to enhance the sunshine glowing through the widows. Use cotton linen, muslin or sheer draperies instead of dark and heavy fabrics. If you do live by the water, never obscure the view. let it be a part of your interior. 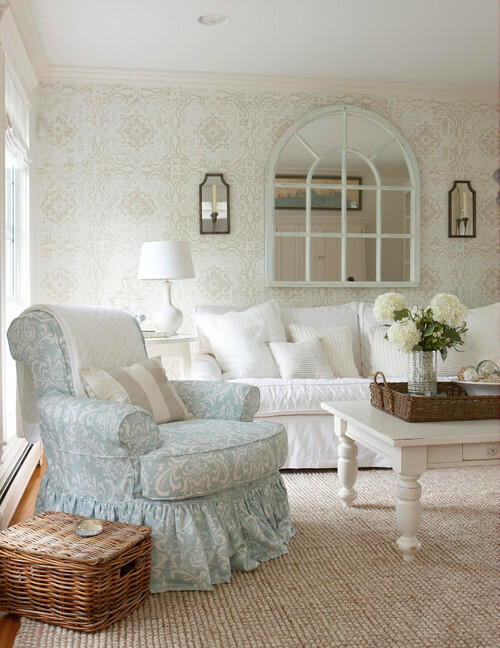 Another great way to slowly transform a room to become more coastal is to add throw pillows and detailed accessories. If your home has darker furnishings try to lighten the room up with more pastel greens, rich blues, whites and turquoise. You can find wonderful nautical fabrics here on Designer Custom Source or purchase pillows at your local retailer. Look for large coral motifs, cabana stripes or shell motifs for pillows and draperies. Add shells, starfish and candles on coffee tables. Look for drift wood and seaglass to use as decorative items in rooms. Purchase wicker baskets, shelving and plants to really bring nature inside your home. With a few simple adjustments, you can truly have that beach home any day of the week. Blur the Lines of Outdoor and Indoor Fabrics with New Outdura	Get Southwestern Styling Now!